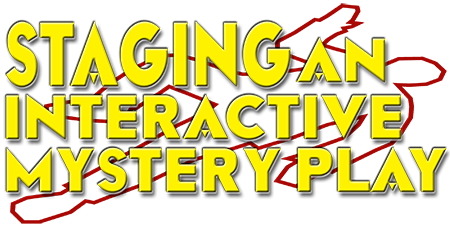 How fun would it be to have your students develop, write, and produce their own interactive murder mystery? This hands-on guide takes you step-by-step through a six-week process with middle or high school students, starting with the benefits of students writing their own scripts. Playwriting can be a group process of collective creation, and this easy-to-use text shows you exactly how to get the creative juices going. It takes you through brainstorming, character creation, plot development, planting clues, and writing dialogue. Lists of characters, locations, plots, weapons, and even ways to die help the process along. Read more...The book also addresses the actual production itself, providing useful checklists for the director and stressing how to achieve maximum audience participation. Emphasis is also put on developing the improvisational skills needed to be a successful suspect! Synopses of five actual plays including cast lists, ideas, and comments help you learn from others who have already gone through this. 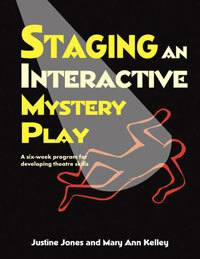 Like the authors’ previous three best-selling improv books, this guide is chock-full of fun activities to help teach drama skills holistically, as well as a chart to show how the mystery class aligns well with National Core Arts Standards for Theatre.